When adventuring into a LARP kingdom, be ready for whatever lies ahead, and for the occasional fool who may try to surprise you. The Backplate for Warrior or Drake - Size Medium prevents injury to your spine during said attacks. This backplate fits perfectly with our Drake and Warrior breastplates. It is craft from 18-gauge steel and features a polished steel finish. 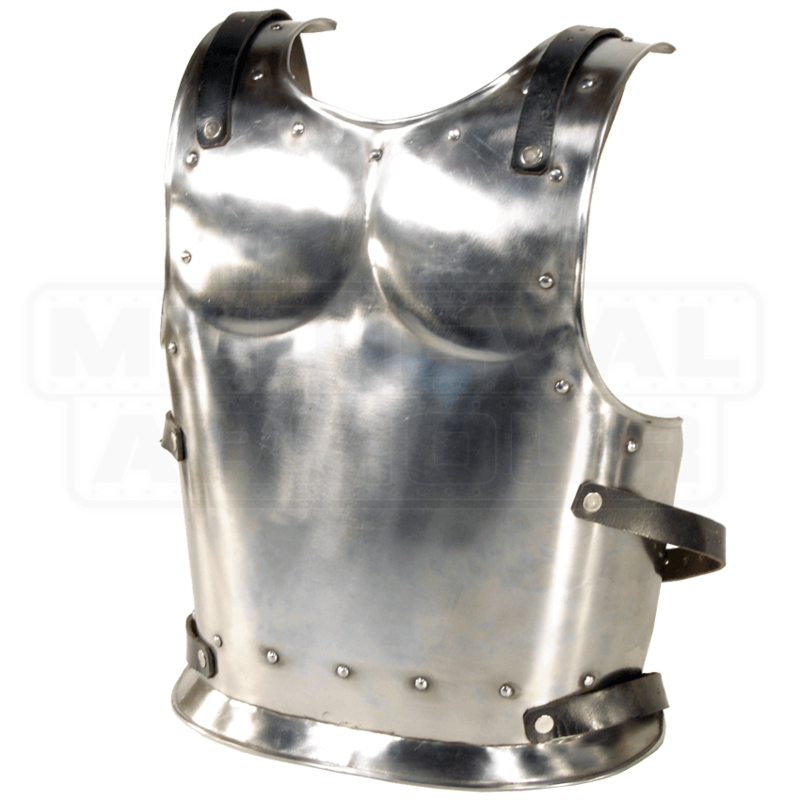 The breastplate follows a simple medieval inspired design. The shaped shoulder blades, the rivets lining the edges, and a small flange at the lower rim assist in the deflection of blows. 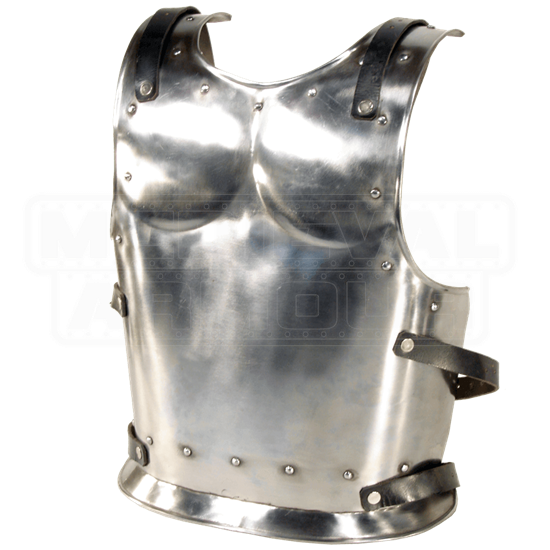 Secure this backplate to its matching breastplate via the leather straps found at the shoulder and waist.